HTML & XML Sitemap Pro for Magento 2 extension allows Store Owners to generate Thousands of HTML & XML Sitemaps which help them to stand in the crowd. By generating XML Sitemap your Website can crawl and Index by Search Engine Bots easily and fast. 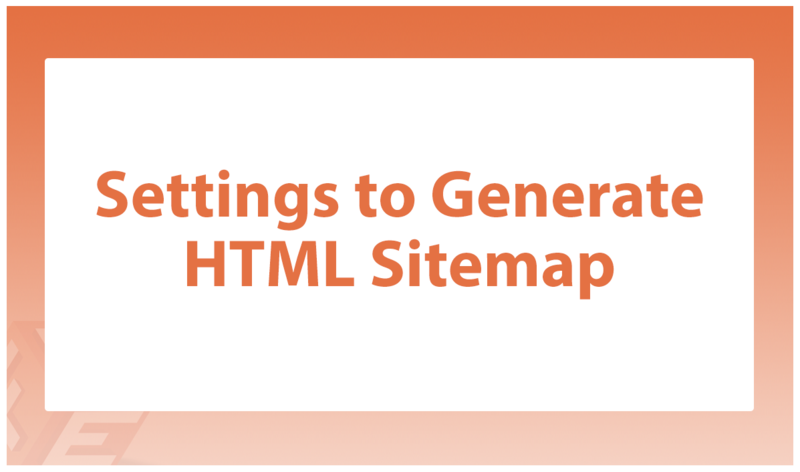 And generating HTML Sitemap helps users to easily navigate on your Website. You can generate Multiple XML Sitemaps to Crawl by Web Crawler and Index your Website in Google •Include/Exclude Products, Categories, CMS & other URLs From XML Sitemap You can add/remove Products, Categories, CMS & other URLs from XML Sitemap. Configure Priorities & Change Frequency and other details for each Type of Page. You can change frequency, last modified date for following types of URLs. You can add new URLs automatically to Sitemap by setting a Cronjob on Daily basis, Weekly and on Monthly basis. New added URL in Product, Category and CMS Page updates automatically in Sitemap. You can categorize URLs by Alphabetical Order to make navigation more easy on your Website. Categorizing by Alphabetical Order will help customers to find items on your Store.